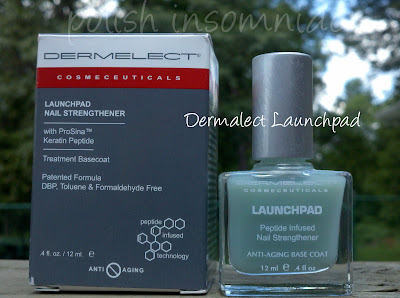 polish insomniac: Out with the Old and In with the New! I have been using Nail Tek Hydration Therapy II since approximately March 22, 2010. How can I be so specific, you ask? My aunt found a bottle at TJ Maxx and gave it to me for my birthday. 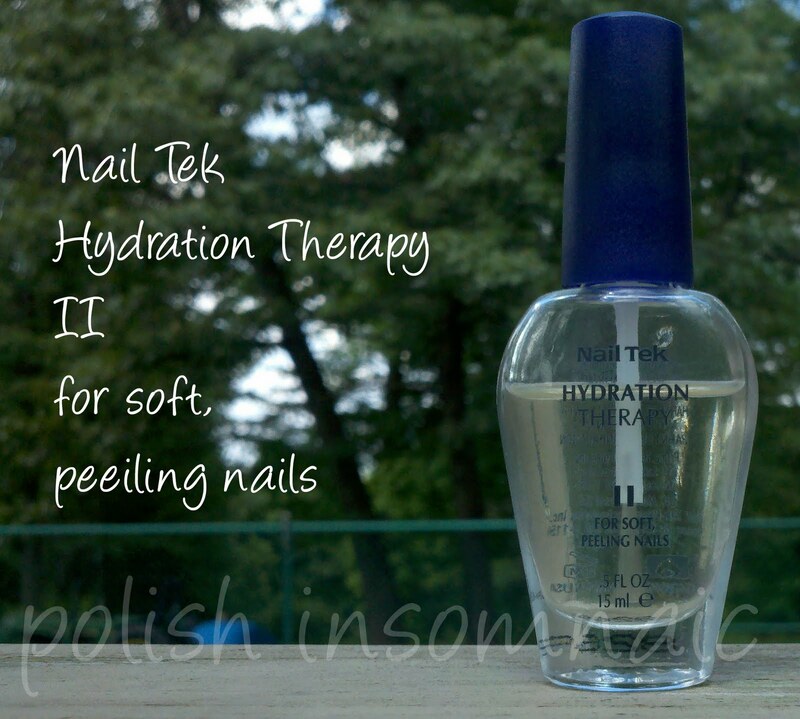 It was a savior to my dry peeling winter nails. I have been using it faithful for the past several months, but I noticed it did not meet all of my needs... I could not for the life of my get my nails more than a few centimeters long before they would split! So they were healthy, grew fast, but I had to file them often as a precaution. Then one day on Twitter @ScandalousAnge mentioned that she couldn't live without her Dermelect Launchpad. 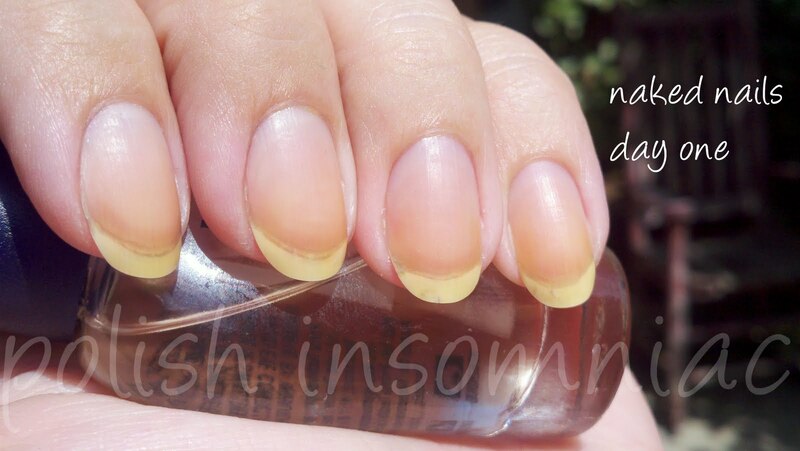 That she also had never had "long" nails until she started using this product. I contacted the company and they graciously provided me with a sample. 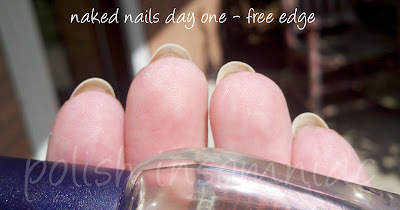 I will be doing a grueling test, and I will show you weekly NAKED nails to see the improvement! Yes, I know, my cuticles are looking sad. I swear I used to take care of them! I just got lazy since it is warm out. Paying more attention now! I did a file them down a bit to start this process, but here is my starting point. Have any of you experienced Dermelect's products? What are your thoughts?